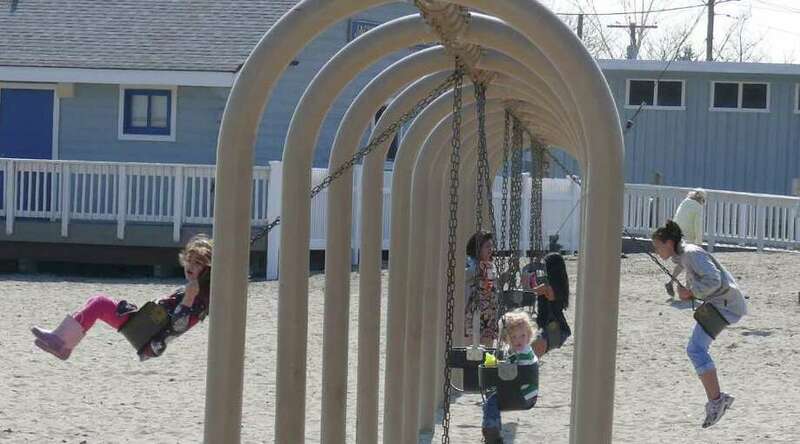 As temperatures perked upward to 70 degrees under sunny, clear skies Monday afternoon -- the last full day of winter -- youngsters really got in the swing of things. Even though the recent sunny, warm stretch made it seem like spring had already arrived in southwestern Connecticut, the season did not "officially" begin until 1:14 a.m. this morning. And this first day of spring will be more of the same, after patchy fog clears from parts of the region by about 10 a.m. Skies will be mostly sunny and, like yesterday, the temperature will rise to about a high of about 70 degrees, according to the National Weather Service. Overnight, patchy fog is likely to return as the temperature declines to a low around 50 degrees. Tomorrow, there is expected to be patchy fog before 9 a.m., and the temperature will rise to a high of about 70 degrees under partly sunny skies. Tomorrow night, skies will be partly cloudy, with a low around 51 degrees, the NWS says. On Thursday, there is a slight chance of showers and thunderstorms after noon. Otherwise, it will be mostly sunny with a high temperature in the low-70s. Nighttime will be partly cloudy, with a low temperature in the low-50s. The outlook for Friday, according to the weather Service, is sunny and temperatures in the upper-60s.